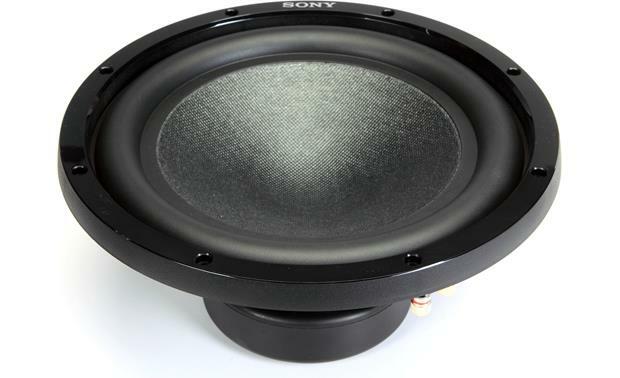 Sony created their GS Series subwoofers with performance in mind. 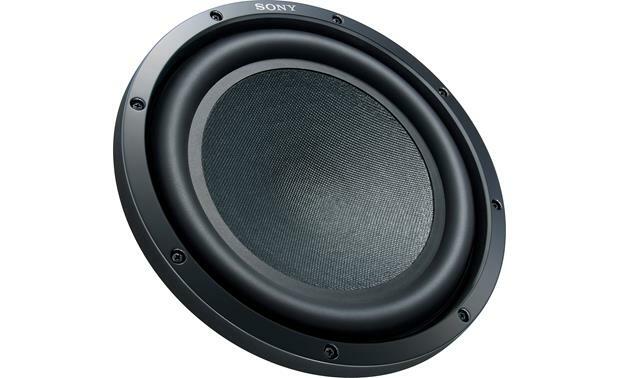 The Sony XS-GSW121 12″ subwoofer features a unique mica-reinforced cellular glass fiber material that’s foamed in a honeycomb fiber base, making it 10 times more rigid than a polypropylene cone. Sony formulated a surface layer for the cone that’s made up of mica flake, synthetic fiber, and pulp, creating an extremely light and rigid cone that’s able to move faster and more accurately. You’ll hear greater precision and lower distortion. 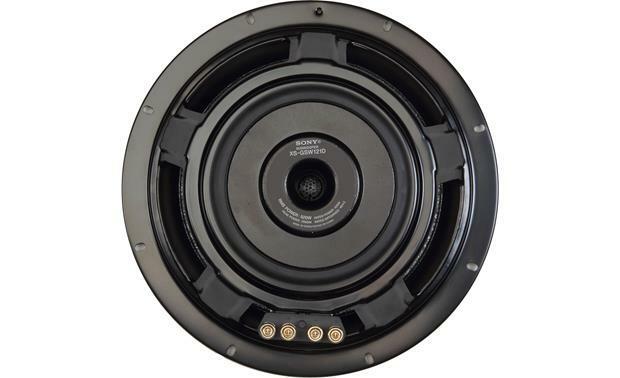 A rugged rubber surround helps this Sony sub handle up to 500 watts RMS, while a double-layered spider supports the voice coil for a 55% increase in cone travel over last year’s model. The GS-121 is equally at home in a ported or sealed enclosure, so you can choose the sound you want for your system. And best of all, Sony backs up these workhorse subs with a cool 3-year warranty. If you want more bass in your space, Sony’s ready to back you up. 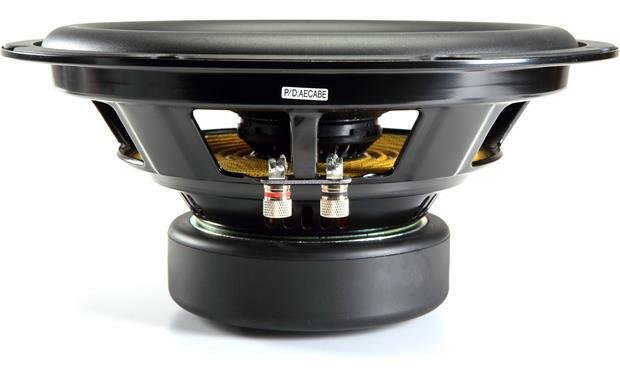 The xs-GSW121 uses a honeycomb design MRC cone (Mica Reinforced Cellular glass fiber composite) to reduce weight and increase rigidity, delivering deep bass response. 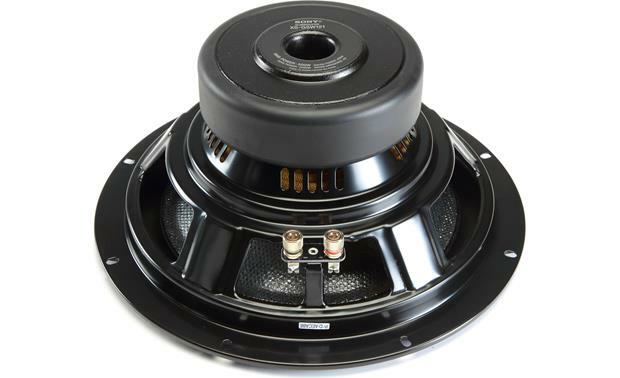 The xs-GSW121 is compatible with either a sealed or ported enclosure. Sealed Box Volume – The ideal sealed box volume is 0.84 ft³. Ported Box Volume – The ideal ported box volume is 1.37 ft³ with a 4″ diameter and 11-1/8″ long port. Trim Ring – If the sub is mounted without the cosmetic trim ring, the flange height is 0.241″ and the mounting height is 0.6″ (top mount).